Disney Princess is Packed with FUN! 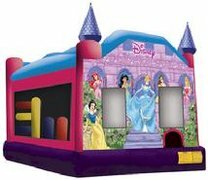 Description: This licensed Disney Princess Interactive inflatable jumper adds a little fairytale to any festivity, and Disney Princesses are always a welcome attraction. Two tall castle spires balance out the center art panel, featuring Cinderella, Snow White, Sleeping Beauty, Belle, Jasmine and Ariel at the palace doors and windows. Kids will experience enchanting fun and imaginative play with five different activities to choose, all in one inflatable jumper! 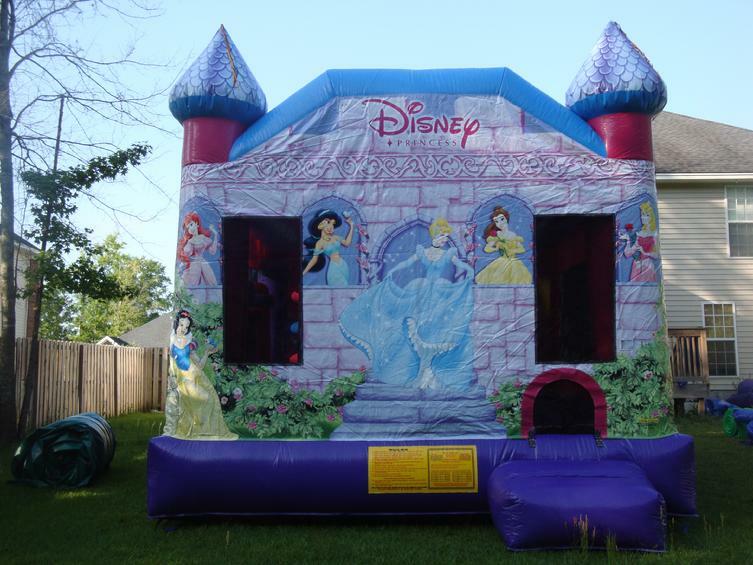 Perfect for any princess birthday or large event.